The town of Canton was lovely decorated up downtown for the Spoon River drive. This is a stop that always moves me because I write for Red Power and know how important the International Harvester connection was in this town. With years of ties to International Harvester, we found an Inn appropriately named, “The Harvester Inn”. While the inn opened in 2011, although it is not a historic building, the name and some of the pictures inside allude to the Farmall history. Besides Culton’s Diamond Plow, he also created the Carey Plow, and the Bar Share breaking plow. The Diamond Plow had a diamond shaped piece of iron which was curved with the lower edge sharpened. While not as revered, Joseph H. Gardiner was the first in Fulton County to produce threshing machines, reaper, and the Gardiner Cultivator. In his honor, Gardiner Corners was named after him. Anyone into IH history probably knows the story of the International Harvester Company–Canton Works- that was started by William Parlin. Traveling from Massachusetts, Parlin arrived in Fulton County on July 4, 1840. Culton’s name comes up again when Parlin began working for R. C. Culton as a journeyman in his blacksmith shop. In a short time he became a partner with Culton and this worked until Parlin went into business for himself. Buying a foundry, Parlin manufactured the first steel plow in Canton and worked at this site until a fire in 1842 claimed his shop. He set up again in the former shop John Culton, and this eventually became the location of the International Harvester Company-Canton Works. The company continued to grow and be successful with one disaster that struck when a boiler exploded on December 16, 1882. Eleven men were killed in the accident; no one in the company was blamed for this incident. So, while the factory is gone now, and the family business connection as well, there is still a name to recall the former glory. 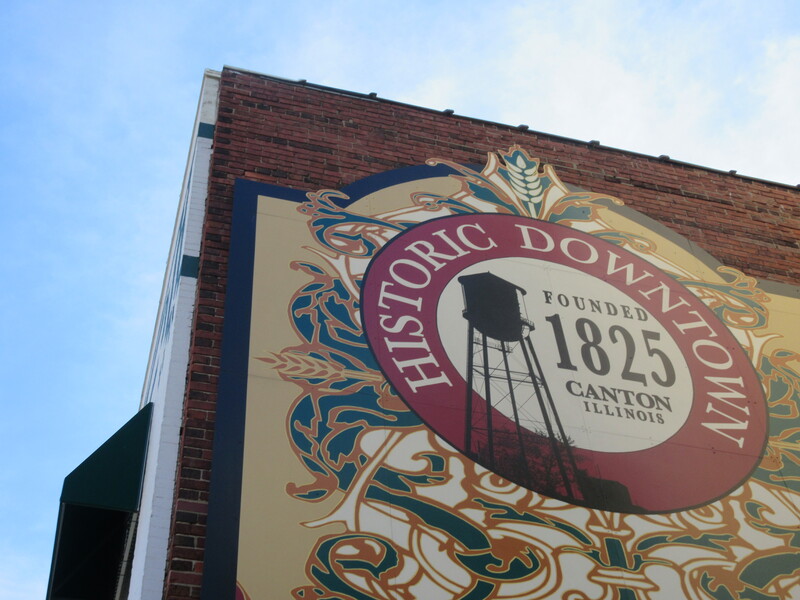 Canton continued to be home to International Harvester until the 1980’s. The company survived a union strike, a fire and more until they shut their doors October 31, 1983. Many vendors that set up have connections to the plant. They had a family member or if they are older, often they worked there as well. Many IH items have been added to collections over the years that were picked up at the Spoon River Drive.